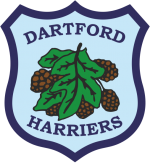 Dartford Harriers has a strong base of coaching staff who volunteer thier time to support the development of our athletes of all abilities. We hope the listing below is of use and if you require any further information about joining the club, please contact us. Specialist areas: ages 10 years and up (current group ranges from ages 10 to 14). Group type: beginner to young developing athletes with an aim to learn, improve and enjoy a range of athletic disciplines. Coaching times: Sunday 10:15 – 11:15. More about Alison: 30+ years of training and competition experience (no formal qualifications). 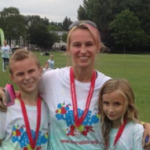 Specialist areas: assisting Stacy Taylor with young athletes aged 6 to 10 years. Group type: all disciplines, with a focus on FUNdamentals. Coaching times: Tuesday 18:30 – 19:30. Specialist areas: over 18’s Road running for all abilities, genders and ages. Group type: mainly road running for mixed ability runners of all ages and gender. Training generally based around a combination of road and cross-country running, dependant on conditions and time of year. Distances vary from between 3 to 7 miles on Tuesdays and Thursdays, routes tend to be longer on Sundays. Coaching times: Tuesday 18:45 – 20:00, Thursday 18:45 – 20:00, Sunday 10:00. 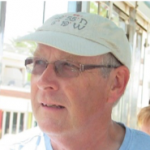 More about Andy: although not formally qualified as a coach, Andy tends to take the lead when discussing routes for the group and kindly volunteered to be included on the coaching list so that new joiners know who to approach! Specialist areas: coaches all disciplines and young athletes of all abilities. Coaching times: Tuesday 17:00 – 18:00 (4 to 6 years), Thursday 17:30 – 18:15 (7 years and above). Specialist areas: introduction to athletics for 7 to 10 year olds (all track and field events). Group type: beginner group for children new to athletics. Coaching times: Tuesday 17:00 – 18:00. 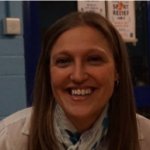 More about Claire: Assistant Coach since 2001 and Children in Athletics Leader since 2010. Claire also attended a Health and Safety course in 2011. Specialist areas: coaching using the FUNdamentals pathway, ages 7 to 16 years. Group type: FUNdamentals to foundation levels. Coaching times: Saturdays during school term time 10:00 – 11:00. Specialist areas: children aged 4 to 6 years. More about Cullen: Cullen helps the group lead, Bonnie, by supporting sessions as and when required (no formal qualification). Cullen previously coached rugby for a similar age group every Sunday. Specialist areas: Sprints and Sprint Hurdles. Coaching times: Tuesday 18:30, Thursday 18:30. Specialist areas: Any ability of athlete, Sprints (up to 1500m), Jumps (primarily high jump), basic Hurdling and Steeple Jump skills, also able to coach Throws. Coaching times: Tuesday 17:00 – 18:00 (6 to 10 year olds), Tuesday 18:30 – 19:45 (11 years and above), Wednesday 17:00 – 18:00 (4 to 10 year olds), Wednesday 18:30 to 19:45 (11 years and above, up to 18), Thursday 18:30 to 19:45 (11 years and above). 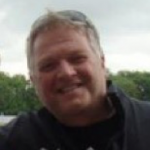 More about Gary: Level 3 jumps/sprints coach who still competes in all 4 jumps. Qualified field judge level 3, track level 2, starter/marksman level 2 and endurance level 1. 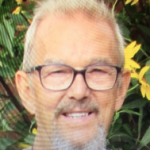 Gary is also President of Dartford Harriers and holds Kent committee memberships for the Athletics executive, track and field, and sports hall. Specialist areas: Sprits (up to 800m) and Hurdles (100m and 400) for senior men and women. Coaching times: Tuesday 18:30, Thursday 18:30, Saturday 08:30. 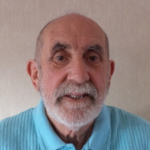 More about Gerald: UKA level 2 coach with over 20 years’ experience. 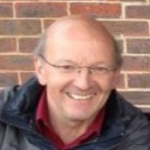 Group type: Gordon has coached young children from 12-13 years of age at a beginner level, teenagers who have gone onto win English schools and national titles, senior adults and masters that have achieved world success for GB. Currently his group includes U15 through to masters category. Coaching times: Monday: gym/weights in Crayford, Tuesday: Dartford track, Wednesday: Lee Valley, Thursday: Dartford track, Saturday: Lee Valley. Training times depending on what competitions are on the horizon; vaulting in at Dartford track from late afternoon in the summer on Tuesdays & Thursdays. 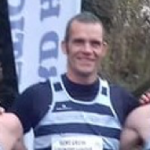 More about Gordon: Level 2 Coach qualified in all events (sprints, throws, jumps, hurdles, weights etc). In his main event, Pole Vault, he has been involved in the National Development Group Programme and has given flying coach visits and master classes. Highlights include role as head jumps / pole vault coach for the international at Manchester. Specialist areas: Sprints and Hurdles. Group type: senior men and women. Specialist areas: Middle distance and endurance running. Coaching times: Monday 19:00 (circuit training), Tuesday 18:30, Thursday 18:30, Sunday 10:30. More about Jason: UKA level 3 coach. 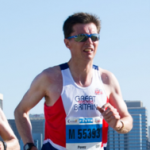 Jason is also the current England team endurance coach. Specialist areas: distance running from 1500m to Half Marathon for adults 18 years and over; track, road and cross country. Group type: mixed abilities, ranging from from runners with 1500m and 10k PBs sub-4:15 and sub-34 mins to runners aiming to dip under 24 mins for parkrun. Suits runners comfortable running up to 8 miles at 8:15 min/mi pace or quicker in training. Coaching times: Tuesday 18:45, Thursday 18:45, occasional weekends. 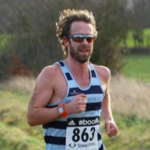 More about Jon: UKA Level 1 Assistant Coach. Co-team manager for Kent Fitness Cross Country. Specialist areas: throws, sprints, jumps with a focus on developing power. Group type: mixed ability, aged 4 years and above with an aim of developing FUNdamentals. Coaching times: Saturday 10:00 – 11:00. 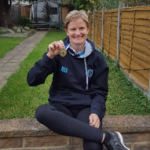 More about Julie: Julie has a broad sporting history, including: GBR international’s in Shot Put, GBR Bobsledder at both the World Championships and World Cup, Britain’s Strongest Women twice, World’s Strongest Woman (4th place) and in 2017 broke the British Record for Bench Press. 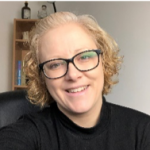 Julie has formal qualifications in Sports Science BSc and is a qualified as an Athletics Coach, Sports Massage Therapist and Personal Trainer. Specialist areas: all track and field events, aimed at developing FUNdamentals for children aged 4 years and above. Coaching times: Thursday 17:00 – 18:00. Specialist areas: all track and field events for children aged 10 to 16 years. Group type: intermediate stage – school years 5 and up, covering FUNdamentals and general track and field. Coaching times: Thursday 18:30 – 19:30. 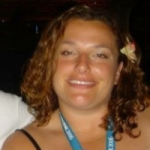 More about Kirstie: ‘Assistant Coach’ level 1 in 1991. ‘Assistant Coach’ since 2015. Joined Dartford Harriers in 1988 and has competed for the club, county level and now competes for the Vets at county and national level. 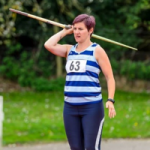 Kirstie trains at the club on Tuesday and Thursdays (after coaching), Saturdays and on Wednesday, at home. 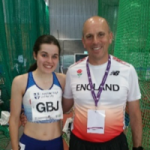 Specialist areas: Middle distance running – under 18s. 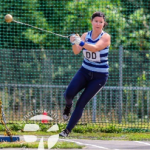 Specialist areas: Throws and Jumps, specialising in Hammer and Discus. Group type: mixed ability and experience from 11 year old beginners to experienced senior internationals. Coaching times: Tuesday and Thursday evenings (also available at weekends at other venues). 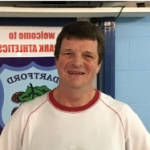 More about Paul: Olympian; experienced coach (old level 3 UKA qualified), vast international knowledge, expired conditioning and weightlifting qualifications. Coaching times: Tuesday 18:30 – 20:15, Thursday 18:30 – 20:15. More about Stacy: ‘Assistant Coach’ since 2015. 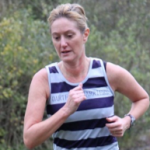 Joined Dartford Harriers in 1988, competes for the club in Senior and Vets competitions. Trains in Hammer throw at the club on Tuesdays (before coaching), Thursdays and then every other Sunday with a focus on running and other field events. Specialist areas: over 18s middle distance and road running, 5k up to marathon distance. Group type: suitable for intermediate athletes (approx 25min 5k/parkrun time) who are able to run 8 miles in training sessions. Ideal for those wanting to compete mainly on the road. Coaching times: Tuesday 18:45 – 20:00, Thursday 18:45-20:00, occasional Saturday morning sessions. 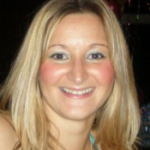 More about Stephanie: Leader in Running Fitness (LiRF). Specialist areas: endurance, sprints, marathons and running technique. Group type: children 11+ and adults. Coaching times: Wednesday 18:00 – 19:00 (children), Wednesday 19:00 – 20:00, Saturday 10:00 – 11:00). 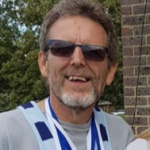 More about Terry: qualified coach for 15 years; coaching experience and lead coaching role at local club and with Kent AC, including organising annual running training camps. Terry has coached at beginner to national level. Coaching develop with Mike Gratton, Paul Evans, Kelly Holmes, Phil Price. Participated in various UKA training days including strength and conditioning, nutrition, physiology and England national junior training. Studying as a UKA official; Qualified First Aider. Proudest achievement as an athlete – Marathon bronze medal at 2016 World Master Championship, Perth Australia. Specialist areas: Long Jump, Triple Jump and some Sprinting if no other coach is available. Group type: happy to take on anybody who can commit to training at least twice a week. Coaching times: Tuesday 18:30 – 20:00, Thursday 18:00 – 20:00, Sunday morning (Saturday if the track is closed). 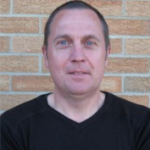 More about Trevor: UKA level 4 jumps coach.